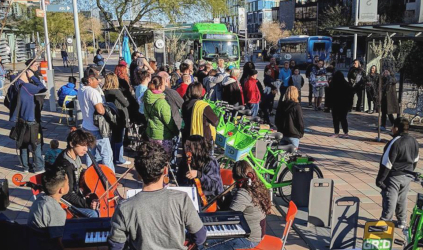 This spring, Progressive Railroading reached out to transit agencies to learn how they’re tackling first-and-last-mile challenges. Following are summaries of what Dallas Area Rapid Transit (DART), Chicago commuter railroad Metra and Seattle’s Sound Transit are doing. For example, DART has been working on providing microtransit — or on-demand — services for the past few years. 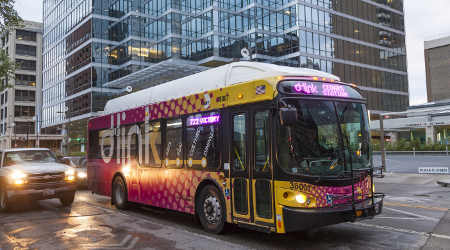 In 2013, DART launched D-Link, a free bus service that can be used for short trips in and around downtown Dallas — including to DART rail stations. The service is provided by DART, Downtown Dallas Inc. and the city of Dallas. Since 2015, DART has partnered with car-share firm ZipCar and ride-hailing companies Uber and Lyft. Riders can access those services through DART's GoPass app. In 2016, DART received a $1.2 million grant through the Federal Transit Administration's Mobility on Demand (MOD) Sandbox program to study first-and-last-mile solutions. "Nearly 28 percent of all people and 24 percent of jobs in the DART service area are more than 1/4 mile from a bus stop or rail station," according to DART's MOD Sandbox grant document. "By incorporating a robust, easy to use mobile platform that centralizes billing and trip planning across rideshare, carshare, bikeshare and other rural transit systems, DART hopes that the combination of these services will enhance and ultimately increase ridership across the service area." riders to plan and pay for entire trips using DART and first/last mile partners, according to agency spokesman Morgan Lyons. During the past 18 months, Sound Transit has begun developing new mobility partnerships for first-and-last-mile access, according to Scott Thompson, the agency's public information officer. Recent activity includes a marketing partnership with Uber that subsidizes riders' cost for an Uber ride to certain Sound Transit light-rail stations. Also, the agency is a partner with Pierce Transit's MOD Sandbox project, which launched in mid-May. Additionally, Sound Transit — in partnership with King County Metro in Washington state and the Los Angeles County Metropolitan Transportation Authority (LA Metro) — is a recipient of an MOD Sandbox grant and is developing a project that includes partnering with a transit network company to offer first/last mile service to riders using public funds to subsidize trips. 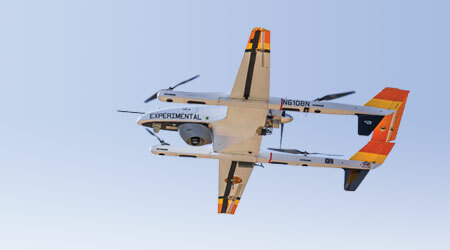 The project proposal includes two demonstration sites: one in Los Angeles and one in Puget Sound, Thompson said in an email. Moreover, Sound Transit is working with the University of Washington Taskar Center for Accessible Technology and OpenStreetMap.org to adopt a data standard for assessing the quality of wheelchair and pedestrian infrastructure, as well as to provide trip planning and routing information for riders, particularly those with mobility restrictions, Thompson said. Chicago's commuter railroad Metra has been addressing first-and-last-mile issues for the past several years. It has focused on bridging the first-and-last-mile gap to suburban employment centers and the "reverse commute market," said spokesman Michael Gillis in an email. To address those issues, Metra has developed two main partnerships. One is with suburban bus operator Pace and the Transportation Management Association of Lake Cook (TMA) to create the Shuttlebug program. The TMA works with businesses, communities, transportation agencies and elected officials to help improve workers' commutes. Shuttlebug creates last-mile connections between six Metra stations, one Chicago Transit Authority (CTA) station and more than 30 employers on 13 Pace routes. The service provides about 1,000 daily and 250,000 annual trips. Metra, Pace and area employers share the cost of the program, which is managed by TMA. The largest employer-sponsored program in northeastern Illinois, the effort has been recognized by the Federal Highway Administration and the U.S. Environmental Protection Agency as an effective model to reduce traffic congestion and improve air quality, Gillis said. The primary focus of the TMA has been to improve connections for employers in the Lake Cook Road corridor that straddles Cook and Lake counties. However, in 2015 the program was expanded to DuPage County with a route from Belmont Road Station to the Esplanade office complex in Downers Grove. This year, the village of Oakbrook, Illinois, and the Regional Transportation Authority — the funding oversight agency for Metra, Pace and the CTA — announced plans for a pilot project that would fund shuttle routes between Oakbrook and Metra's Hinsdale and Elmhurst stations. Under the plan, the RTA would provide part of the funding with employers in the corridor contributing and the village overseeing the contract. In 2016, Metra entered an agreement with Uber, declaring it the transit agency's "Official Rideshare Partner." As part of the agreement, Metra promotes Uber as a preferred travel choice for connections to and from Metra's downtown Chicago and outlying stations. Over the three-year agreement — which is slated to end in 2019 — Metra is expected to net $900,000, Gillis said. Pace is considered the major provider of first-and-last mile connections in Chicago's suburbs. Besides its regular routes, Pace offers a "Call-n-Ride" service in 10 designated areas in the region. Trips must be reserved at least an hour in advance and pickup and drop-off locations must be in the Call-n-Ride zone. Pace also offers a "Metra Feeder" van pool service, in which a Pace van parks at a Metra station near the worksite so that five to 13 riders can take the train and then use the van to complete their commutes. Currently, 10 such feeder vans are in operation, according to Gillis. Moreover, some employers on the east side of the Chicago Loop or North Michigan Avenue have hired private shuttles to transport employees to their work sites from Metra's downtown terminals. Although these shuttles are not operated or funded by Metra, they do offer "door-to-door" service, Gillis said. Some charge a small fee while others require only an employee I.D. card. Existing downtown shuttles include the Prudential Plaza/Aon Center service that has operated for more than 20 years; the Free Enterprise System, which serves Northwestern Hospital and other companies; Aries Charter, which operates shuttle service for Blue Cross Blue Shield and other firms; and buses operated by the Illinois Institute of Technology. While several options are available now to help get Metra riders to their destinations from train stations, agency officials hope to build on those solutions to fulfill a new strategic plan that calls for "delivering quality customer service," Gillis said. Under the plan, Metra will work "with regional partners to build upon and promote supplemental services" to bridge first/last mile gaps, he said.